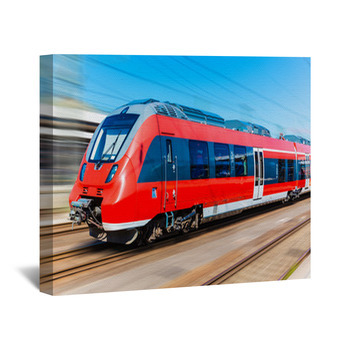 Recall the magic of trains in custom wall art. 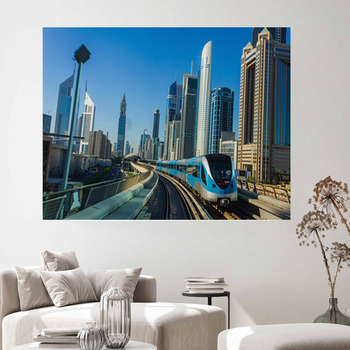 From Japans monorail trains streaking through an engineers imagination like a shiny yellow space capsule to drawings of early steam engines, the trains in this wall art will retrace the tracks of their history and propel them into a green future of grassy greenbelts in cityscapes. 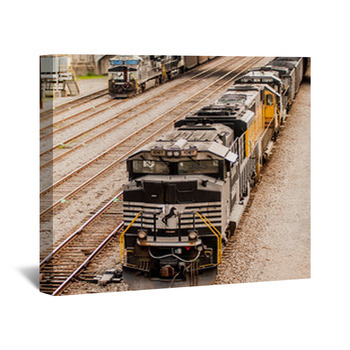 Who doesn't love the sound of a train in the distance? 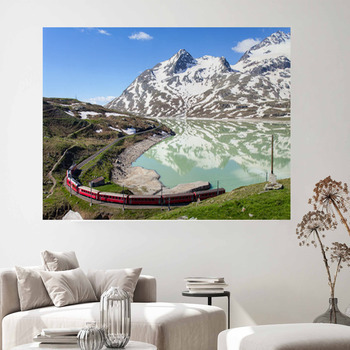 Who doesn't remember the magical world of a train, clickety-clacking through the night, lightly rocking you back and forth in your upper berth that tumbled down from its hidden compartment, lit by the moon above empty plains? Or the taste of hot sweet tea that can only be found on a train? 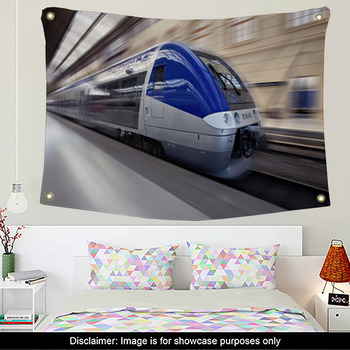 Bring it all back with train themed wall art. 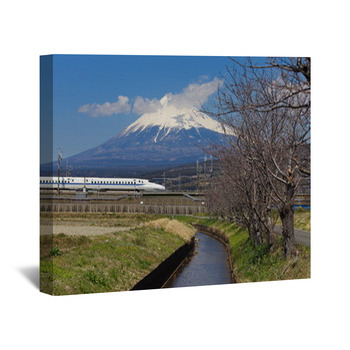 From little trains that always can to shinkansen that leave the past in a blur, let trains come around a bend on a wall sticker, puff like dragons on the forested tracks of a wall mural, pull into a mountain town station on a rustic poster. 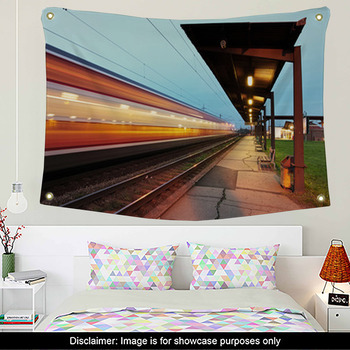 Re-live the wonder of train travel with clouds of smoke rising into blue skies, skies darkened by Gothic clouds gathering behind a black train at a lonely station, skies colored with oranges and pinks in their azure space, all on custom train wall hangings. 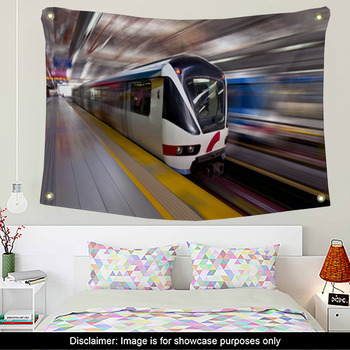 Put trains among the transportation greats on a pastel wall mural, or on monorails looping through urban pop art along with big rigs and commuter jets. 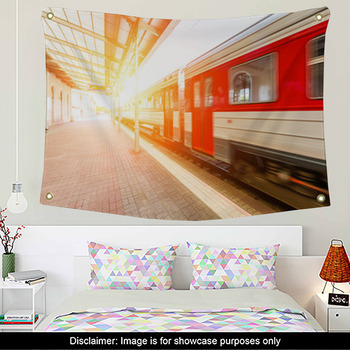 Leave a cloud of steam at the window with train decals. 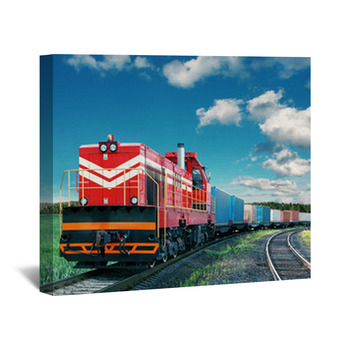 Write your own Russian fairy tale with a toy train on the icy tracks of a snowy expanse. 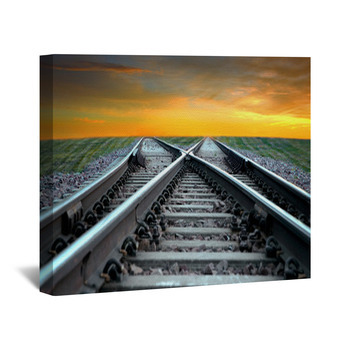 Go with some custom train wall art to both the past and the future, and expect a few whistles along the way.